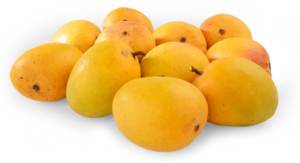 Mangoes are sourced from Global GAP & Plant Quarantine registered orchards. 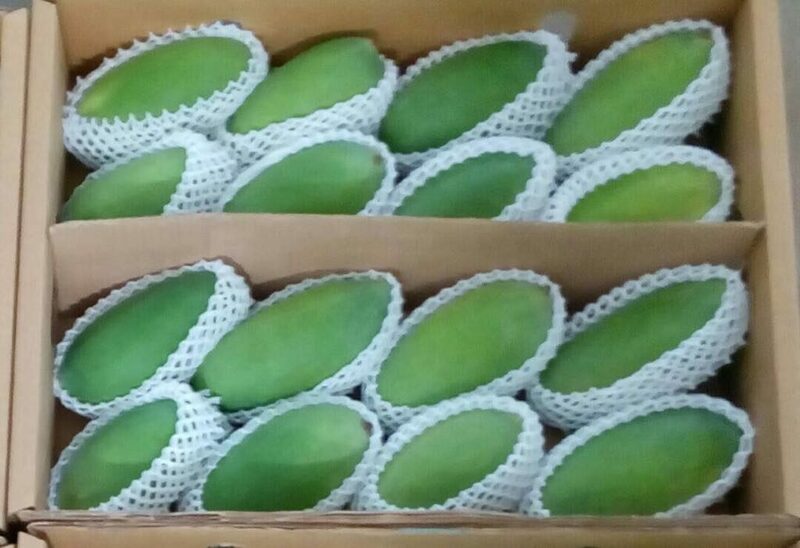 We also adopted pre-harvest techniques by covering individual mangoes by net bag through contractual farming. 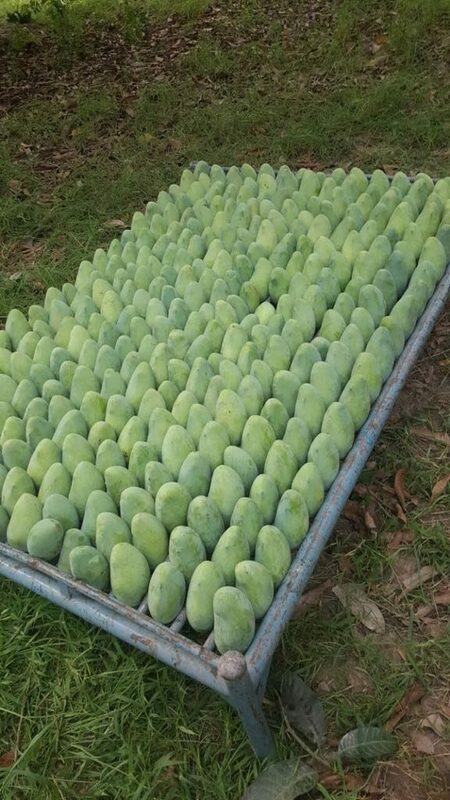 We procure stem-cut mangoes which are then de-sapped at the farm. 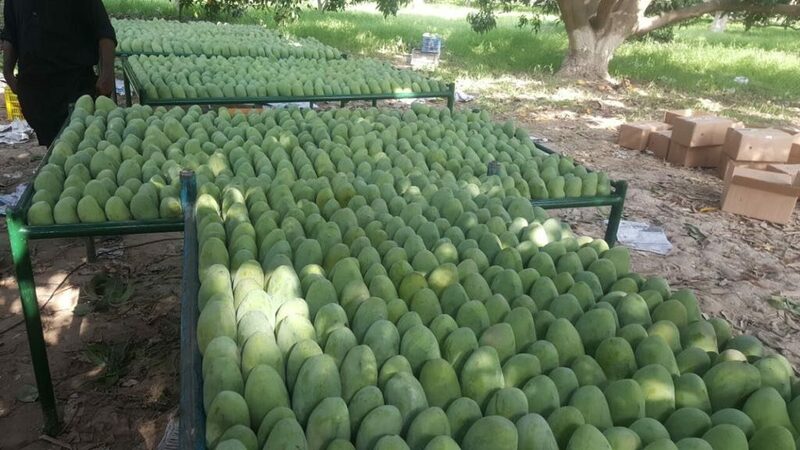 De-sapped mangoes are then transported in our custom made foldable crated to our plant-quarantine registered pack-house located in Gharo. 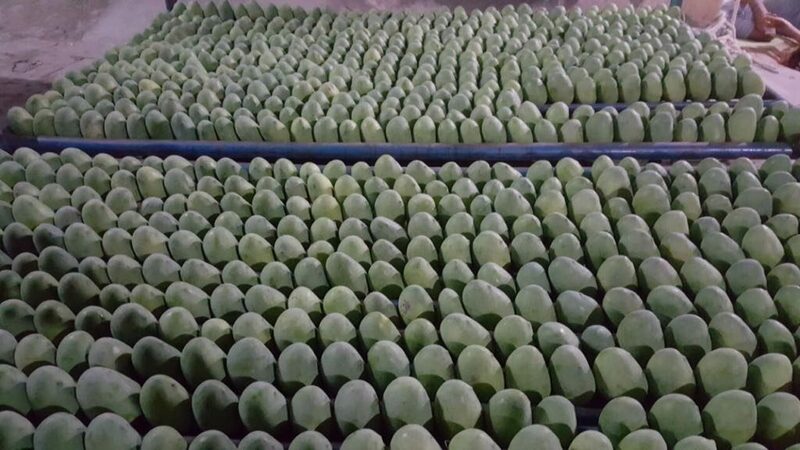 Our pack-house is equipped with forced-air cooling system. 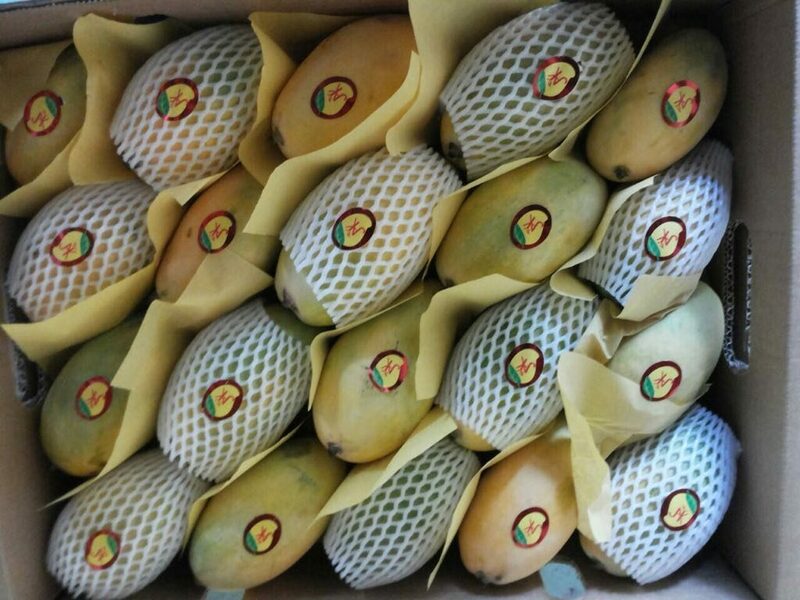 Once received at the pack-house, mangoes are washed, sorted and shifted in the ripening chamber. 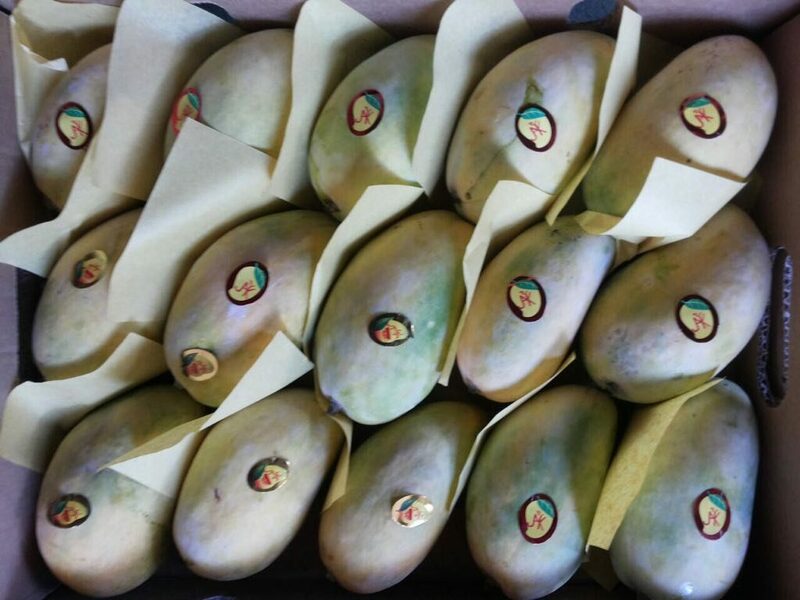 Once desired level of ripening is reached, mangoes are packed in cartons and shifted to forced air cooling room. 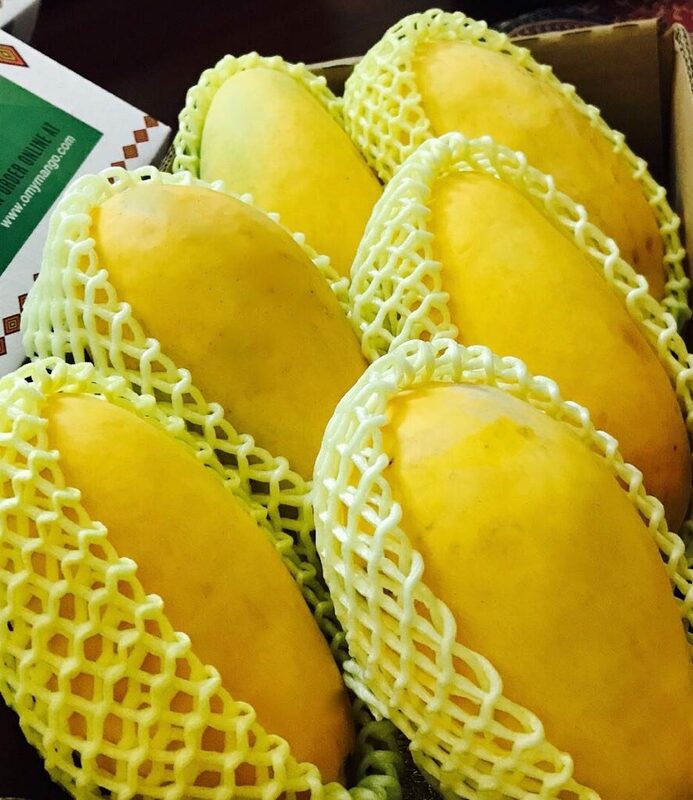 Once the mangoes are cooled-down, the cartons are transported in temperature controlled reefer trucks to the airport.